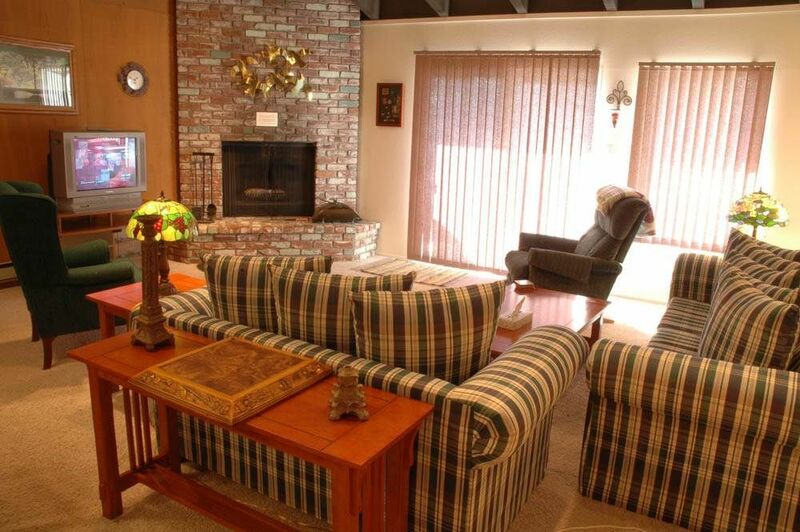 The Mountain Shadows complex consists of roomy condo units ranging from two to four bedrooms. The complex has 2 pools (open in the summer only) and is located 1.5 miles up from the Hyatt and Incline Beach, and .5 miles down from the local ski area of Diamond Peak. This beautiful unit has 3 bedrooms, 2.5 baths, new contemporary style furniture and appliances, antique touches throughout, and is very tastefully decorated. Peek of the Lake from the living room and deck. New gas BBQ on the deck as of July 2003 on which to make your favorite grilled foods. A very comfortable and inviting condo in which to enjoy your stay. Seventh night free for most dates! Please ask! The location was amazing, but everything in the house was old. The rugs were stapled to the ground, chairs were real loose. The TV's were tube TV's which means they were over 12yrs old. We also had issues with after hours pick-up for the keys and drop off. I called the phone number after hours and she didn't even know the area which makes me believe she wasn't local. On drop off we had a sheet that told us to drop off the keys at another location that wasn't even the same name as the property mgmt. Then I got a call asking where the keys where and they told me that the sheet was wrong and sorry for the inconvenience. Once again I called after hours and she had no idea. Just seemed poorly put together considering the money I spent.